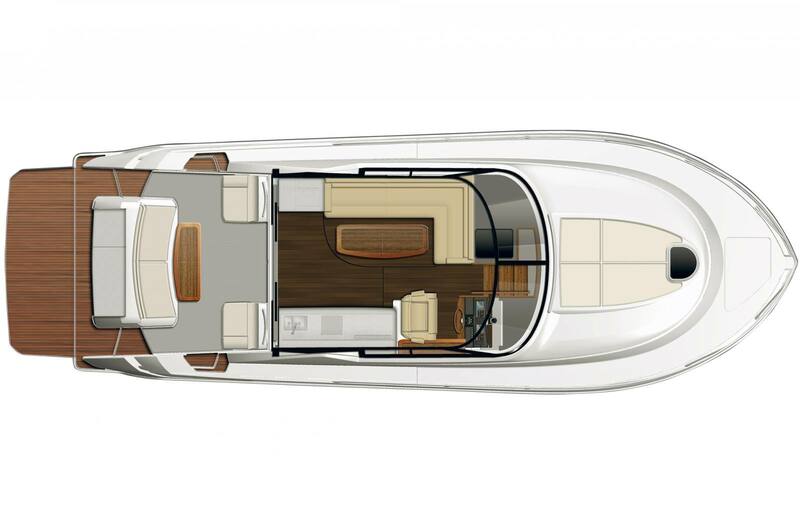 Design: A more forward leaning take on classic Tiara Yacht lines, the modern profile of the 44 Coupe heralds the progressive nuances of this yacht. 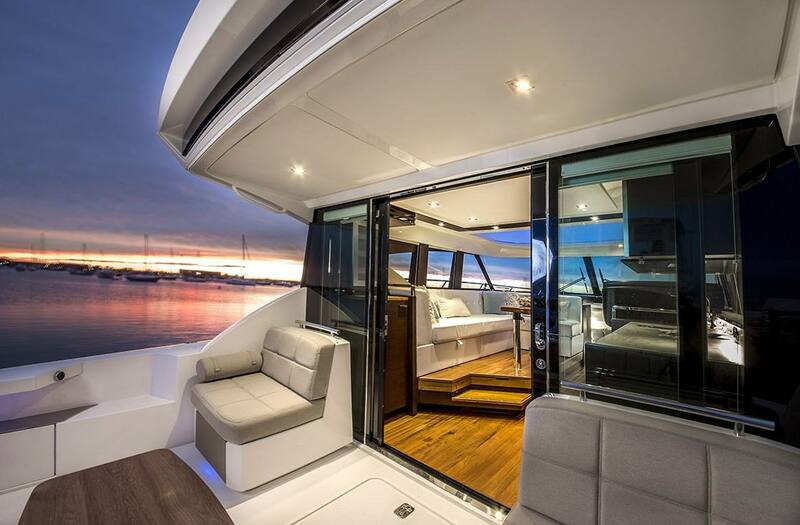 To promote more interaction between pilot and guests and for further enjoyment of the water, the salon is enclosed but can be opened easily through the oversized sliding glass doors, bringing the outside in and the inside out. 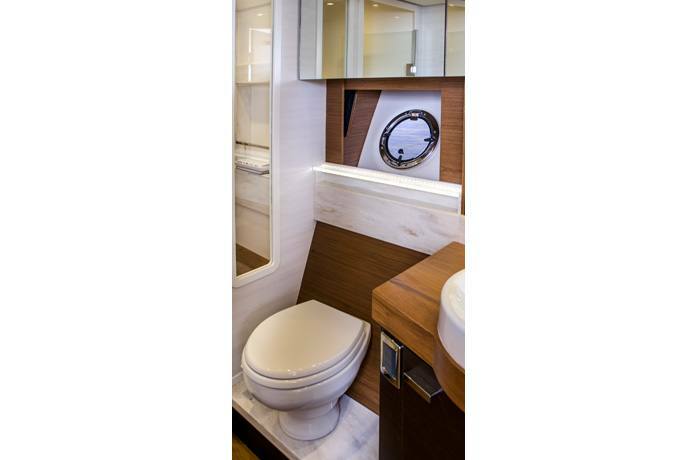 The architectural theme inside is centered on warm teak complimented by the latest interior finishes. 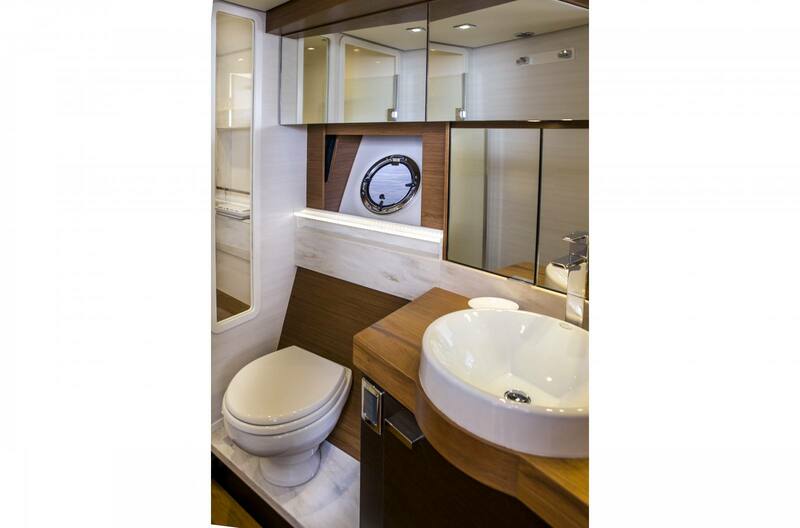 A spacious salon, generous staterooms and contemporary galley accommodate multiple guests in style. 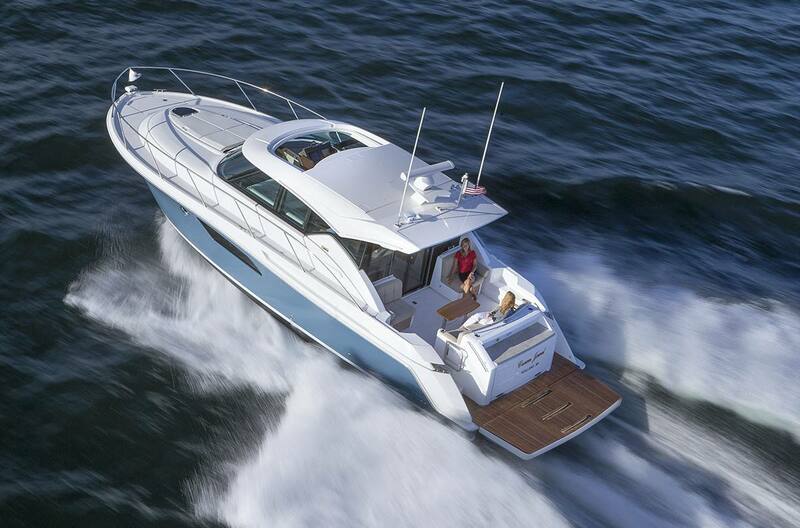 The wrap around windshield, large sunroof and abundant windows make for better visibility and brighter, airier interior spaces. 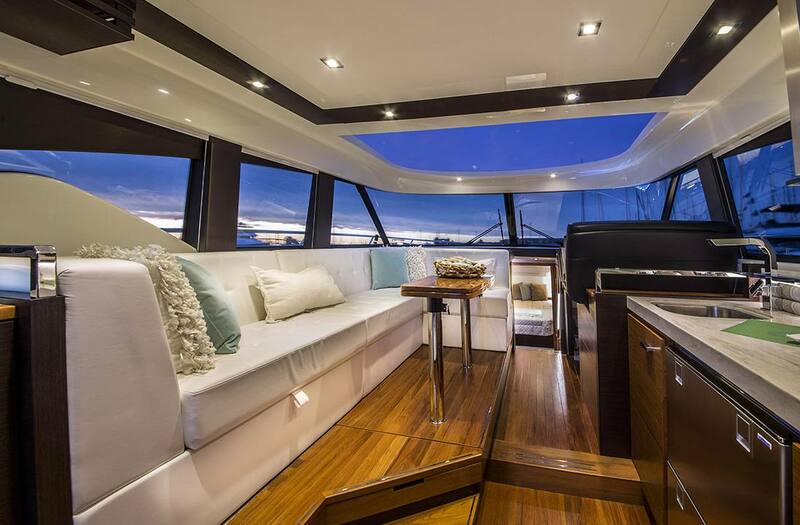 Once outside the fun gathers around the aft grill and huge swim platform. 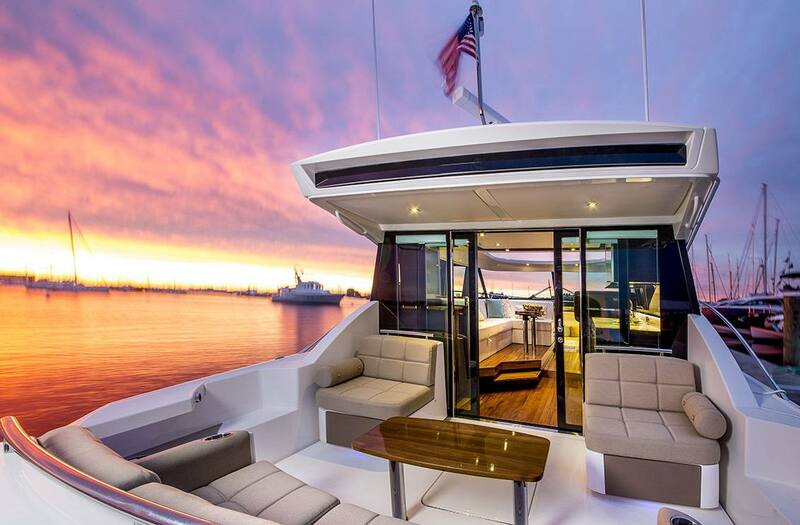 It’s the perfect yacht where everything revolves around your connection with the water and your guests, for memories everyone will cherish. 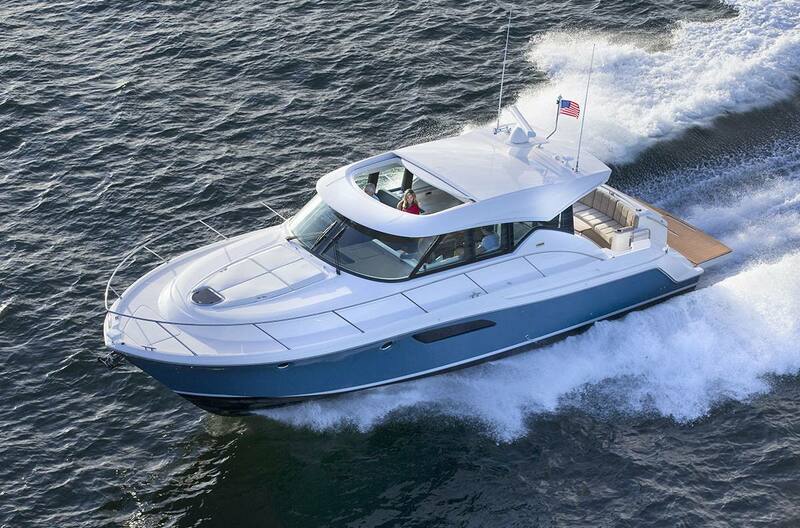 Engineering: The 44 Coupe features the latest in navigation and operating technologies, including Garmin® electronics and Volvo Penta’s effortless joystick control. 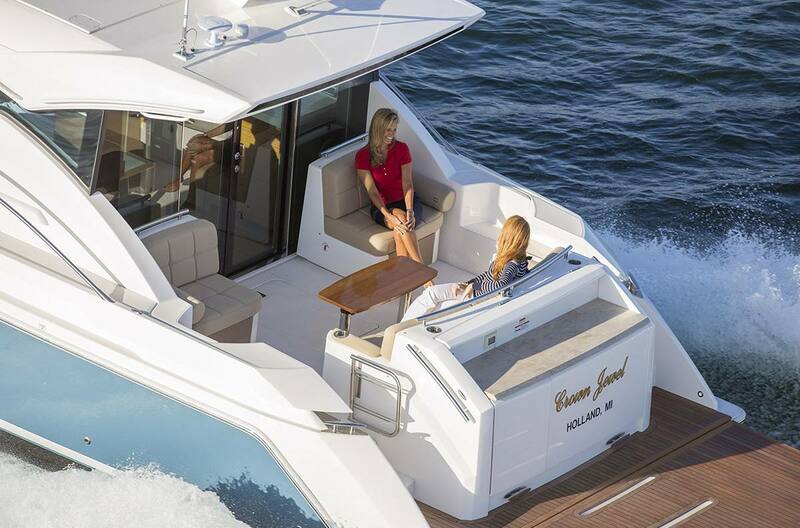 A yacht-wide audio system allows zone specific volume controls and comes with USB/MP3 and integrated Bluetooth, Other integrated electronics include 19” and 29" LCD TVs, Blu-Ray DVD player, and Bose® Soundlink® portable Bluetooth speaker system. 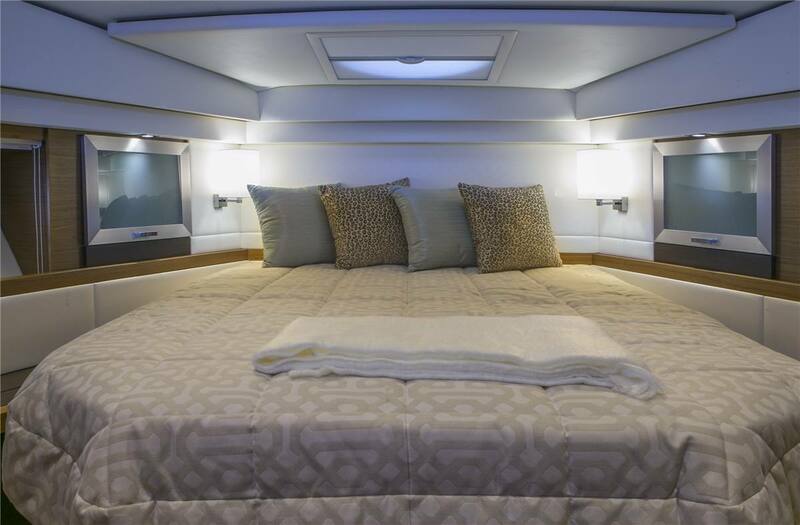 Advanced LED lighting is also seamlessly incorporated throughout. 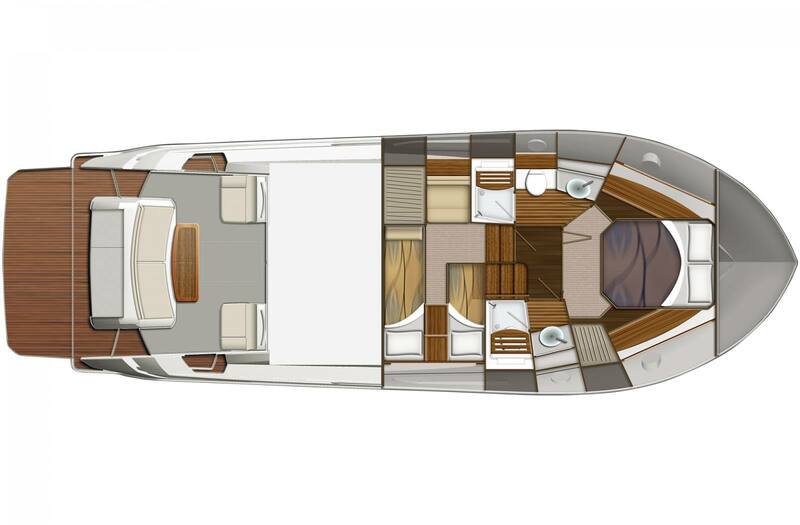 Layout: Designed to increase the yachting experience, the 44 Coupe incorporates indoor/outdoor entertaining space combined with comfortable quarters for Captain and guests make for a perfect cruise. 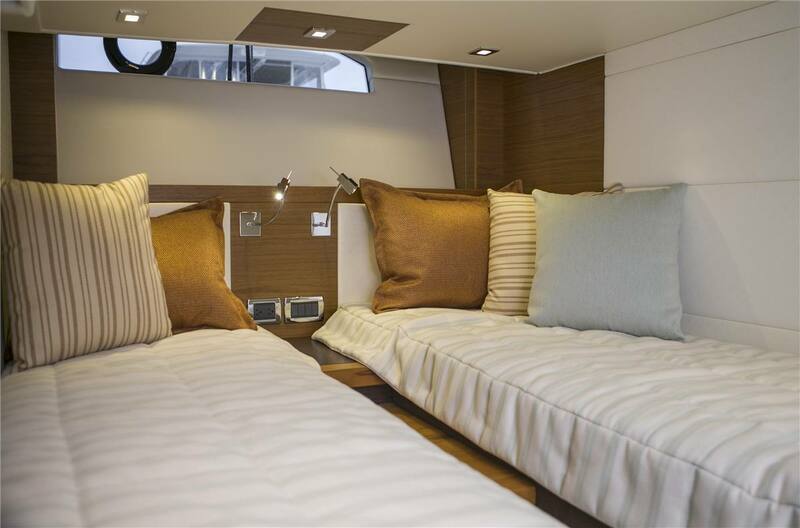 See Salon and Helm Area for main stereo component details. Two exterior JL® Audio 7.7" speakers, Polk® Audio 8" subwoofer powered by a JL® Audio M series digital amp, and Fusion® remote.